I love to give back to my customers and I'm able to do this each month in a couple of different ways. First, if your order is $40 (before tax & shipping) and you enter my Current Months Hostess Code you will receive my Monthly Customer Appreciation PDF with all the instructions and measurements for the project shown for that month. 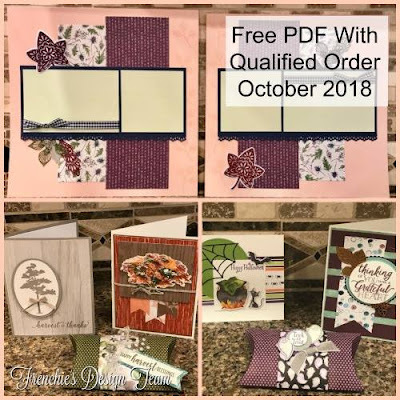 Secondly, through my Customer Loyalty Program you can earn FREE STAMP SETS, yes you read that correctly FREE STAMP SETS. If you're not familiar with my Customer Loyalty Program CLICK HERE for all the details and don't miss out.